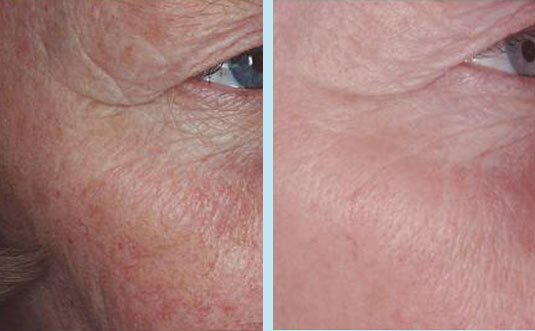 The RejuveLux process uses pulsed light to treat pigmented and vascular lesions, for overall improvement of skin tone and texture. PULSED LIGHT: HOW DOES IT WORK? The RejuveLux Process is performed by Palomar Pulsed Light Systems. Pulsed light systems are similar to lasers but with a larger beam for wider coverage and faster, more comfortable treatments. 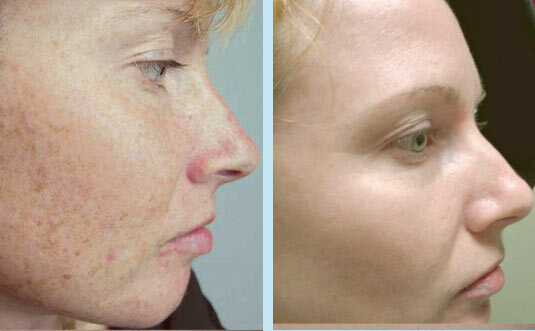 During RejuveLux treatments, pulses of filtered light are directed onto the skin and absorbed by the melanin for pigmented lesions and by the blood for vascular lesions. Solar Lentigines: More commonly known as sunspots, age spots or liver spots. Actinic Bronzing: Overall browning of the skin. Telangiectasia: Tiny capillaries that appear near the surface of the face. They may be red, blue or purple in color. Also known as Spider Veins. Rosacea: Inflammation and swelling of the face. The RejuveLux light pulse is directly absorbed by the pigment in the lesion. The light heats the pigment and breaks it up. The lesion darkens and crusts after treatment and is naturally shed from the skin after approximately ten days. 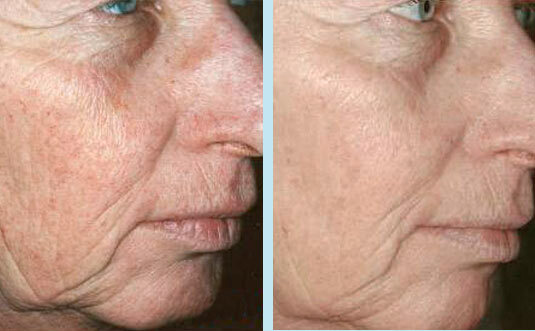 RejuveLux uses a unique long pulsewidth that delivers energy to the skin over a relatively long period of time without overheating the epidermis. This makes the pulses safer and more comfortable. You may experience a feeling similar to that of a rubber band being snapped on the skin, but most people do not report this sensation as painful. You may experience temporary redness and a mild “sunburn”- like effect that may last a few hours to a few days.